With women from across the entire Jewish Community. 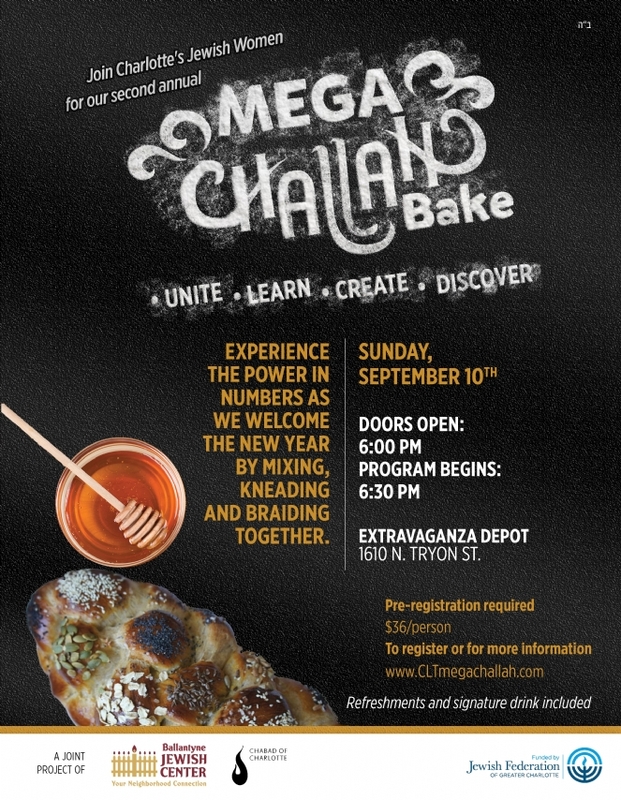 The ancient feminine art of Challah making and the secret to great tasting Challah. With many voices and one heart. May the power in numbers inspire answered prayers and blessings for the safety of our brethren in Israel. As we prepare for the new year, let's share with others by bringing canned foods for the JFS Pantry.